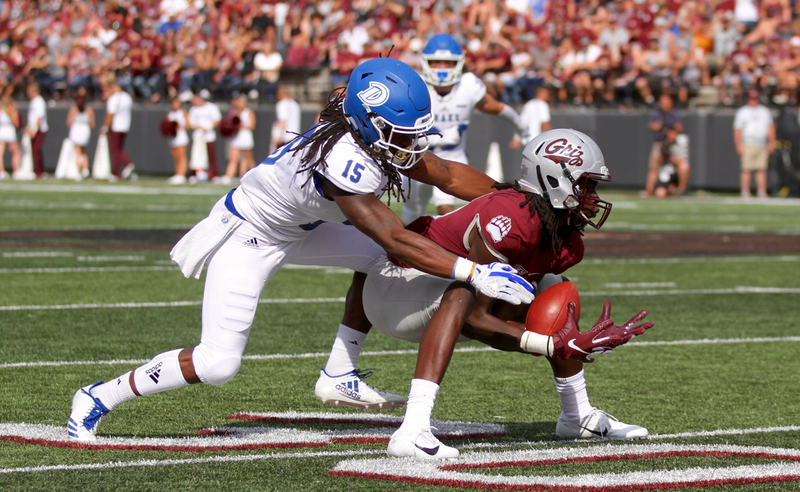 After a fortunate break late in the third quarter of last week’s win over Drake, the Montana Grizzlies went for the kill. One play after a Reid Miller interception and return set them up at the Bulldogs’ 10, the Grizzlies came out with four wide receivers. Sammy Akem, the farthest split of a group of three receivers to the offense’s right, merely waited for Jerry Louie-McGee to clear him on a route to the outside, then planted his foot and broke over the middle on a slant. The throw from quarterback Dalton Sneed was a little bit behind him, but Akem contorted his body to make the catch at the 3, absorbed a hit, and tumbled into the end zone for Montana’s second touchdown in 22 seconds and a 31-10 lead that essentially put the game out of reach. “He wouldn’t have caught that last year one out of 10 times,” the announcers joked on the SWX broadcast immediately after. 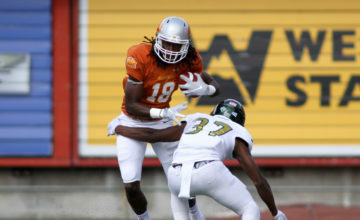 As the announcers alluded to, it’s been a breakout year for the redshirt sophomore wide receiver. Akem’s eight catches and 86 yards against Drake were both career highs. With 11 catches for 138 yards in two games, he’s only a game or two away from surpassing his stats from all of last season (18 catches for 207 yards). 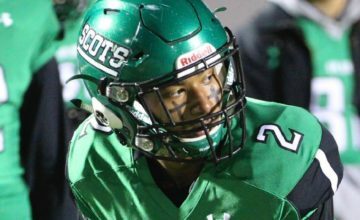 The story of Akem’s breakout has been him translating his copious physical gifts into wide receiver skills. Currently listed at 6-foot-4, 196 pounds, he was part of a state champion track team in 2013 and won the 110 hurdles at state in 2016 for Broken Arrow High School in Oklahoma. The Tigers were also district football champions in Akem’s senior year. 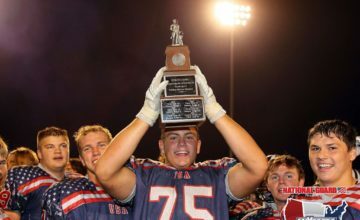 He hadn’t gotten much attention from colleges for most of his high school career, so when Montana offered him in the spring of his junior year, he wanted to accept right away. 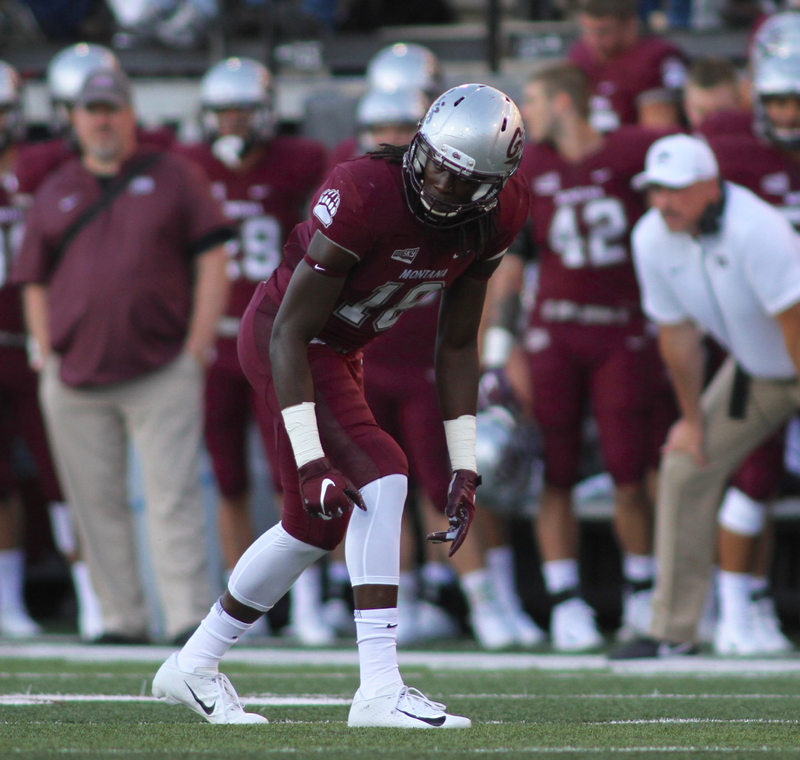 When Akem did get on campus, the Montana coaching staff easily saw the potential in their new wideout, but it was just as easy to see that Akem was sushi-raw. Thus began the process of turning the new recruit from potential to actuality. It was a slow one. Even in spring practice this year, Akem was prone to dropping easy passes that hit him right in the hands — but he would also go downfield and make spectacular catches over defensive backs. Now, he appears to have sanded down those rough edges enough to let the natural talent shine through. His touchdown catch against Drake showed all of that, with the patience to wait for the route to open up, the technique to jab his foot into the ground and make a quick break — leaving the cornerback in his wake — and the hands to haul in a less-then-perfect throw. 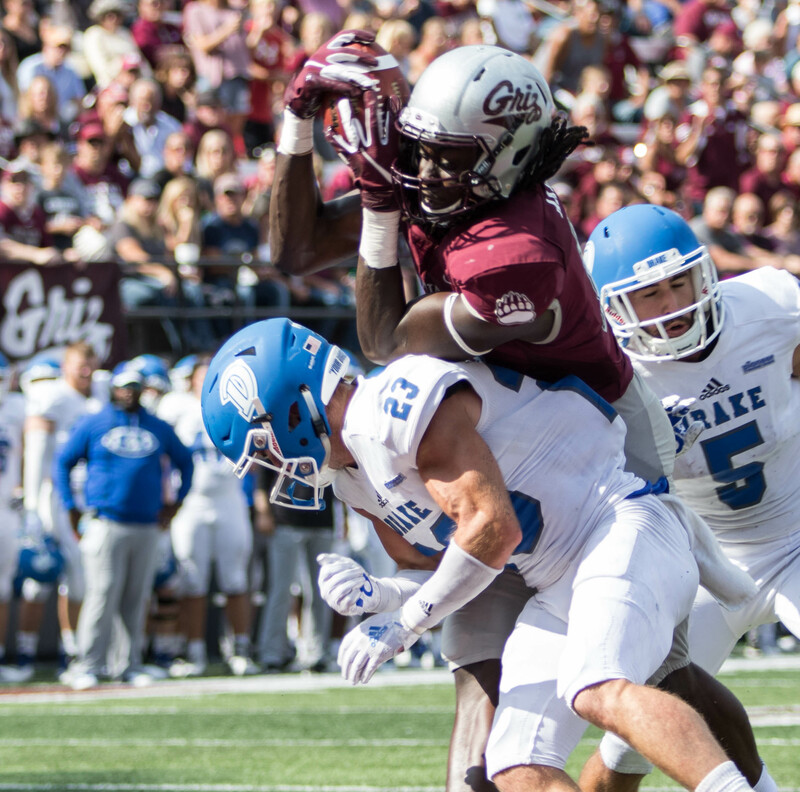 If he can keep it up, the Griz might have a 6-foot-4 monster who can outjump any cornerback in the country. With senior Keenan Curran suffering an injury against Drake and uncertain for Saturday’s game at Western Illinois, Akem was listed as a starter this week for the first time in his career. 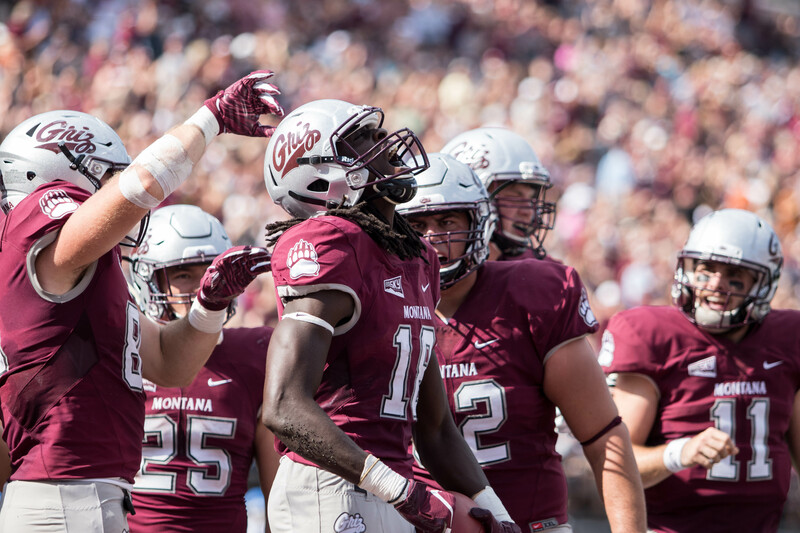 It will give him the chance to build on what’s so far been the best performance of his young career — and to continue the rapid upward trend that’s marked his time at Montana. Andrew Houghton grew up in Washington, DC. He graduated from the University of Montana journalism school in December 2015 and spent time working on the sports desk at the Daily Tribune News in Cartersville, Georgia, before moving back to Missoula and becoming a part of Skyline Sports in early 2018.